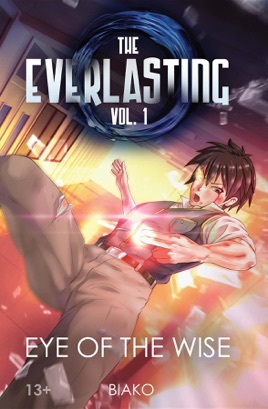 The Everlasting—a title given to those who’ve reached a state closest to godhood. This honor is a dream to all novice mages and warriors. After the Age of War ended, the majestic city of Alsa was one of the few cities that remained. In that city lies the best school of magic, Albion, an academic school that has educated the strongest leaders of the current age. Our story begins with Asura Shirogami, an orphaned sixteen-year-old boy trained in warrior arts who transfers to Albion. Having no friends and an embarrassing first day, Asura must adapt to his new life and learn magic. With no knowledge of magic spells, he unknowingly gets entangled in a school competition where the whole campus is the battlefield. What starts as an intense battle between classmates turns deadly as a powerful intruder interferes. This book is suggested for ages 13+ due to violence and mild language.